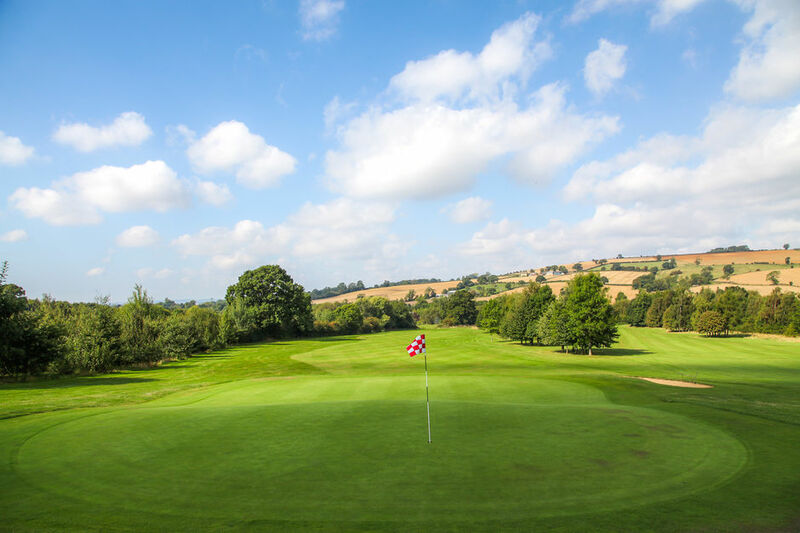 Set in the beautiful Cotswolds, the Par 71 course takes the golfer all around the 105 acres of the site. The opening hole is a long uphill par 4 that provides a stern challenge right from the start. With two fairway bunkers on the left of the fairway to catch an errant drive, a drive up the right side of the fairway is desirable. The approach shot should again favour the right side due to the bunker in front left of the green. The green falls from right to left, with putts tending to break more than you think! The 2nd hole requires a mid-long iron to be thread between the gaps in the trees. With 2 bunkers staggered in the front of the green, a shot carrying all the way to the putting surface is needed. as chipping from greenside on the 2nd is not an easy task. 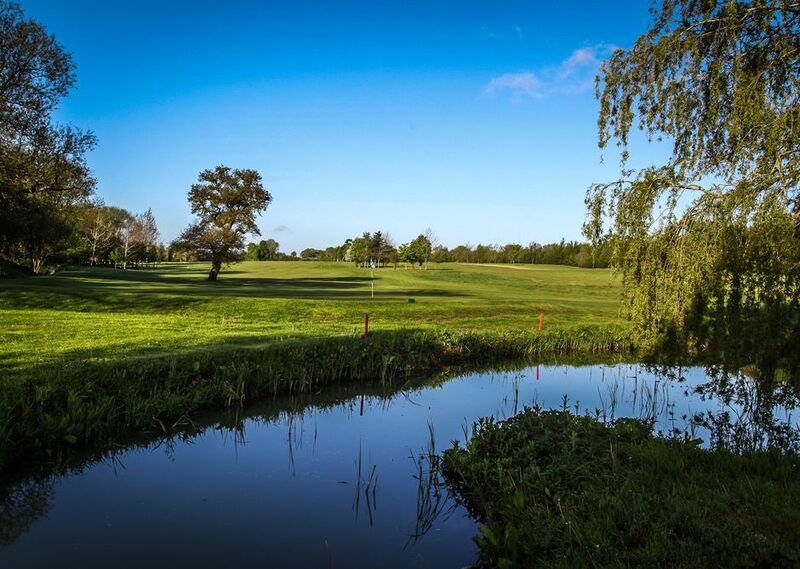 The tee shot from the 3rd tee is the most challenging on the course, with out of bounds running along the right of the hole and Sutton Brook splitting the fairway in two. 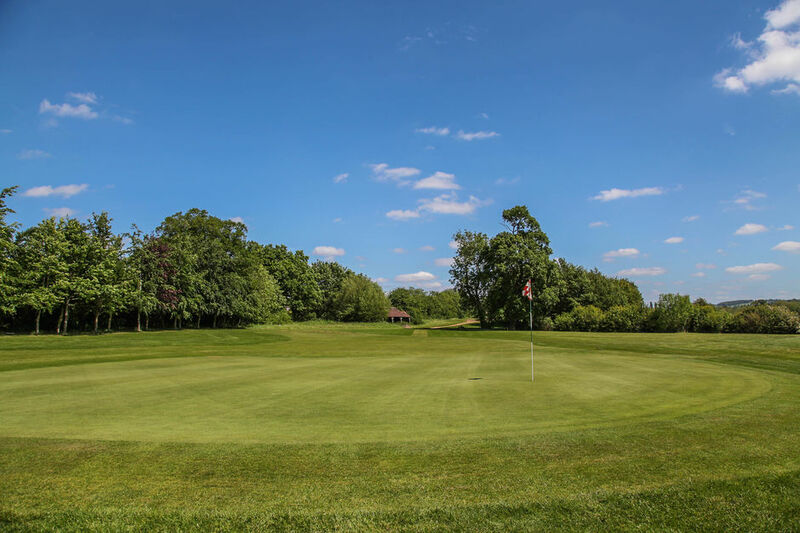 For the longer hitters, a drive requiring a 200 yard carry over the Brook leaves the easier approach to this small green, which is located just short of the trees that form the boundary of the course. An alternative to driving over Sutton Brook is to take an iron or fairway wood from the tee and lay up at the end of the first fairway. Another fairway shot will then take you close to the green, where an up and down par is by no means a guarantee. The 4th is a short par 4 that plays slightly uphill and doglegs to the right. A chance to pick a shot up. 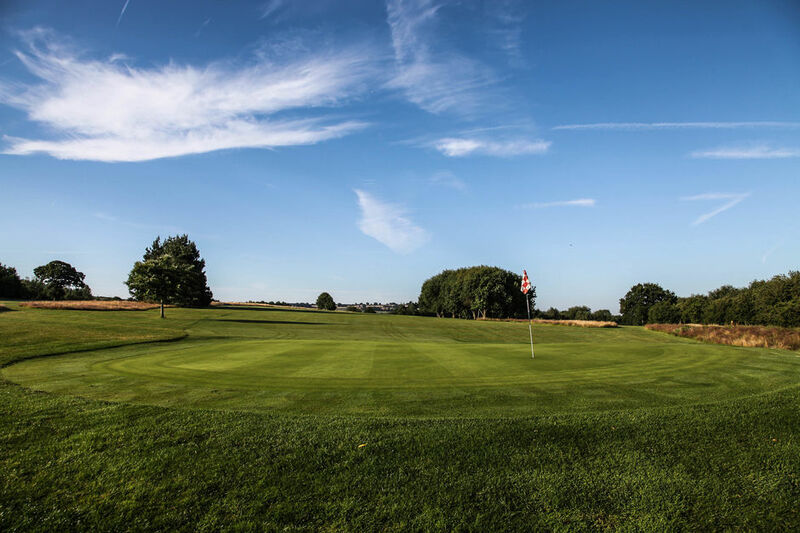 If you have hit the fairway with from the tee, you will then be presented with a second shot that requires a short iron or wedge to a small green which is well protected by bunkers on the left and out of bounds on the right. The green slopes from back to front making it receptive to a well struck second shot. The 5th hole is a sweeping dogleg to the right, with out of bounds running from tee to green on the far right of the hole. 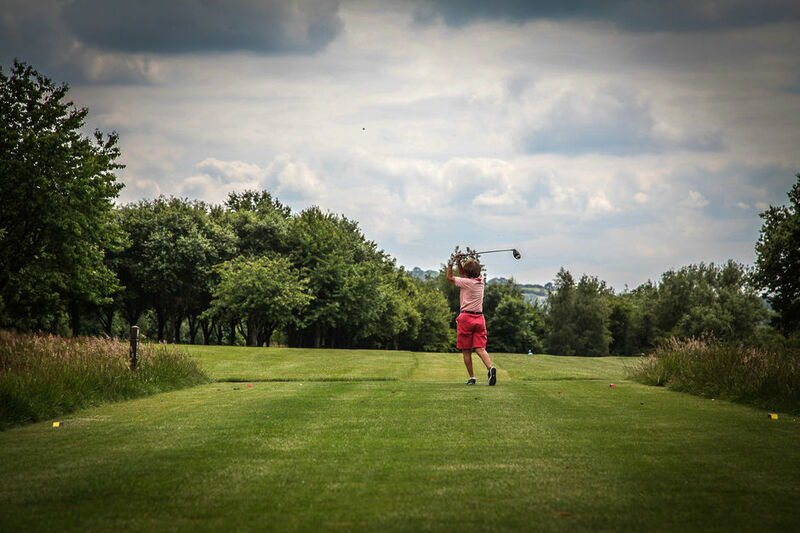 A fade is the ideal shot from the tee with the left rough being the safest place if you were to miss the fairway. The approach is normally a mid iron into one of the larger greens on the course, giving the second shot an inviting appeal. But be sure not to leak your approach right, as the out of bounds creeps back in on the right of the green. This mid length par 3 heads back towards the clubhouse and although not a long hole, the tee box is sheltered from any wind, making club selection tricky. A well struck mid iron is required to find a green that slopes from left to right. The bunker at the front left and the pond short right of the green narrows the target significantly. Trust your yardage and take dead aim. 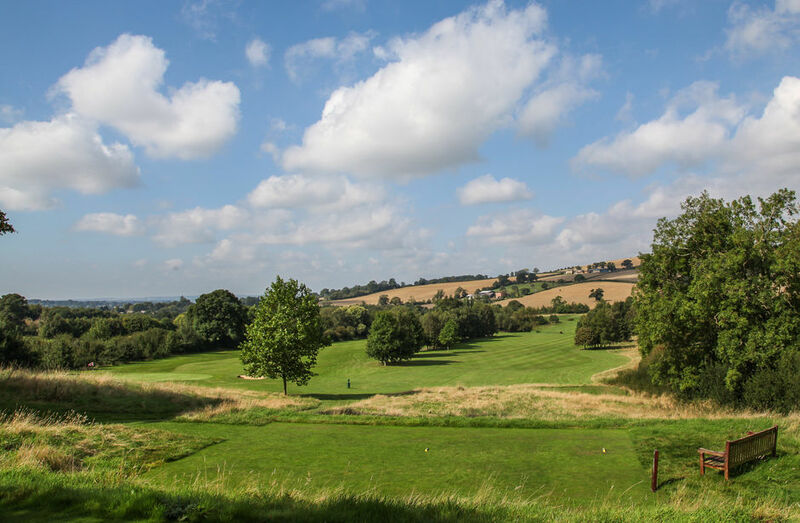 The 7th begins with a semi blind tee shot hit into a landscape of rolling Cotswold Hills. With trees to the left and long rough on the right, a solid drive is required. A ball that finds the fairway will bound down this hole, shortening the second shot significantly. The downhill approach is played between two trees that frame either side of the fairway to another small green. The green is one of the flatter greens on the course, which means a more aggressive approach can be taken to putting on the 7th. The only Par 5 on the front 9. The drive plays downhill from the tee with a precise shot required to give the best view of the fairway and green ahead. The second shot is played across Sutton Brook and through a gap in the trees, with accuracy the key to working your way down this hole. 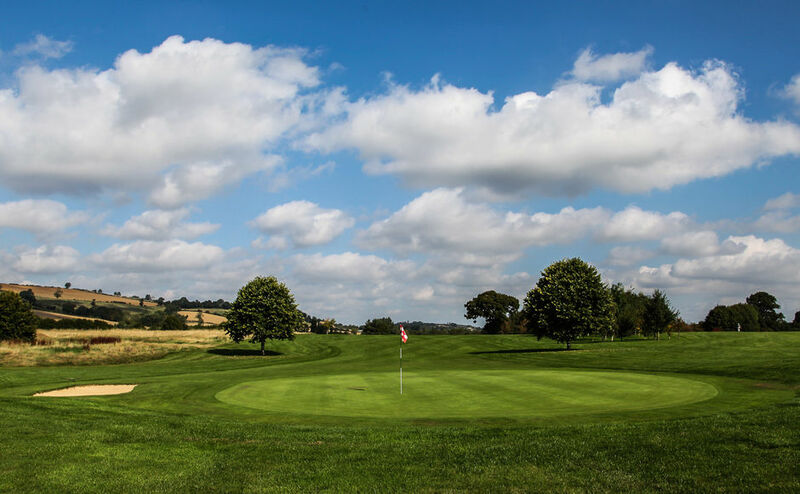 The sensible play is to lay the second shot up around 100 yards from the green to provide the best chance of making the green in regulation and setting up a birdie attempt. The longer hitters have plenty of room to bail out left should they attempt to hit this green in two shots. However, two front bunkers and a ditch to the right of the green are waiting to catch any wayward approaches. 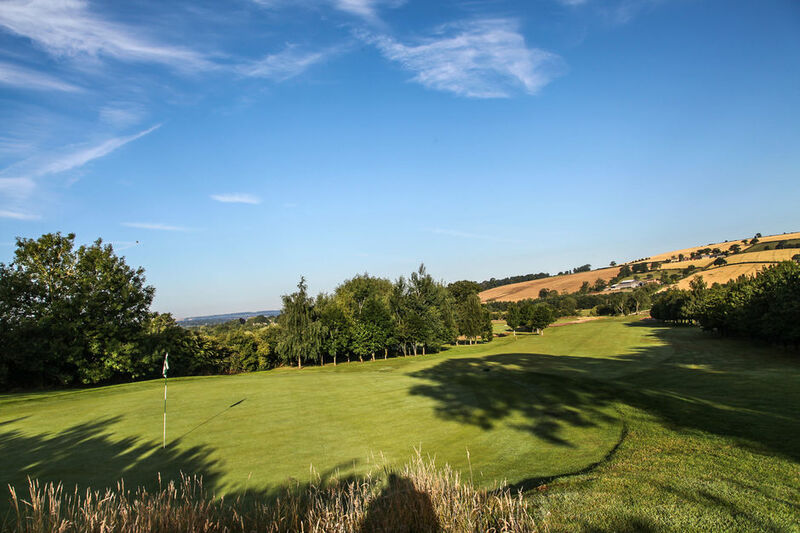 The longest of the Par 4’s at Feldon Valley.The hole plays downhilland requires two well struck shots to hit this green in regulation. The fairway slopes from left to right which can cause a fade to trickle into the right rough. The undulating fairway rarely provides you with a flat lie to hit what is usually a long iron or a fairway wood into a protected green. 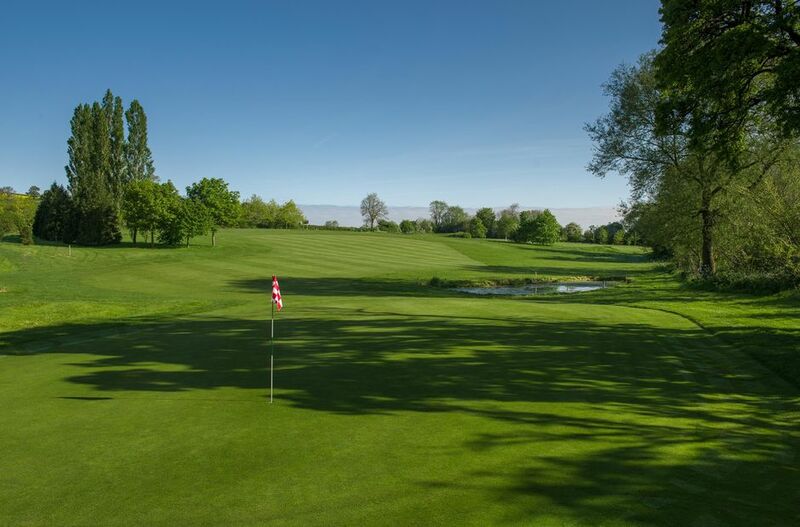 A lone tree protects the front right of the green and with water over the back and Sutton Brook lurking to the right, the approach provides a really testing but beautiful finish to the front 9. Accuracy is required from the tee shot on 10. Play a long iron or fairway wood into position at the end of the first fairway. A well placed tee shot will open up the second half of the hole, with the second shot to be hit downhill over Sutton Brook to an inviting fairway. Big hitters can get close in two shots by hitting up the right side of the fairway and running their ball into this 2 tiered green. An approach played to the right will feed into the green and keep the ball away from the bunker protecting the left side. 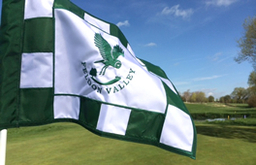 This may be the shortest of the par 3’s at Feldon Valley but the 11th still presents a stiff challenge. The hole plays slightly uphill and usually into the prevailing wind. The tee shot requires the player to get their club selection right in order to give themselves a putt at a two. The small green is very shallow and the sensible shot is to play for the back edge of the green as the mound behind the green acts as a backstop to any shot going a touch long. a very difficult pitch and making a three an almost impossible task. The 12th is a gentle dogleg to the left, favouring a draw off the tee. The second shot plays slightly downhill and therefore shorter than its yardage. A ball played short of the green will normal roll out and leave an uphill putt on this green that slopes from back to front. Don’t go long! Any shot that finishes over the back of this green leaves a treacherous up and down. The 13th is an spectacular uphill par 4 that plays longer than its yardage. The drive entices you to open your shoulders but with trees lining the fairway, it is important to keep the ball in play. 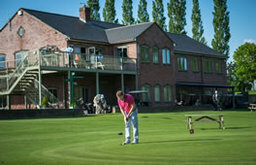 The second shot is one of the most difficult on the course, played straight uphill, to an inviting ‘tabletop’ green. A well struck iron shot is required to hit the green here. 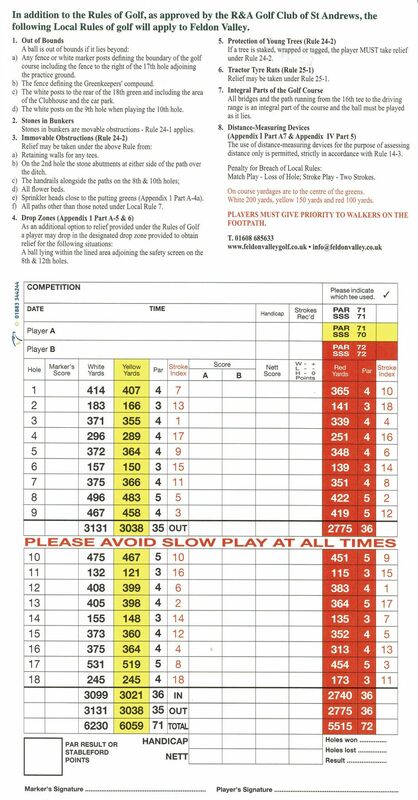 Whether it takes a couple of putts or an up and down save, a par or net par on the 13th is always very pleasing number. A straight iron shot is all that is required on this tricky par 3. 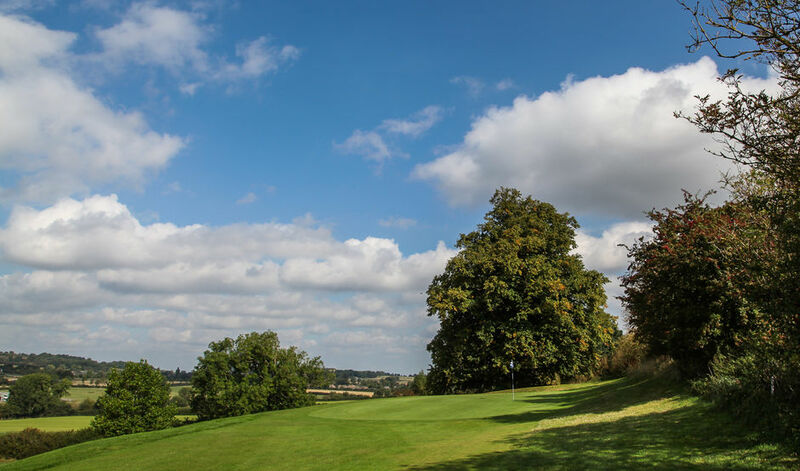 Playing no more than a short­mid iron, the tee shot needs to be thread between the lone tree on the left and the out of bounds to the right of the hole. With its deep, narrow green, club selection is again at a premium. Beware the false front to this green that regularly catches players out, leaving them a long putt up the green. A ball slightly left will quickly fall away leaving a tough uphill pitch shot. A truly memorable sight to relax you and set you up for the challenge of the final four holes. A tee shot sent up the left side of this fairway will give you the best chance of hitting the green in regulation. A ball that leaks right can catch the hidden mound in the fairway and can kick the ball into the right rough. This may result in a blind second shot into a notoriously difficult green. The green slopes from front to back, meaning the rough through the green is a common spot to chip back from. 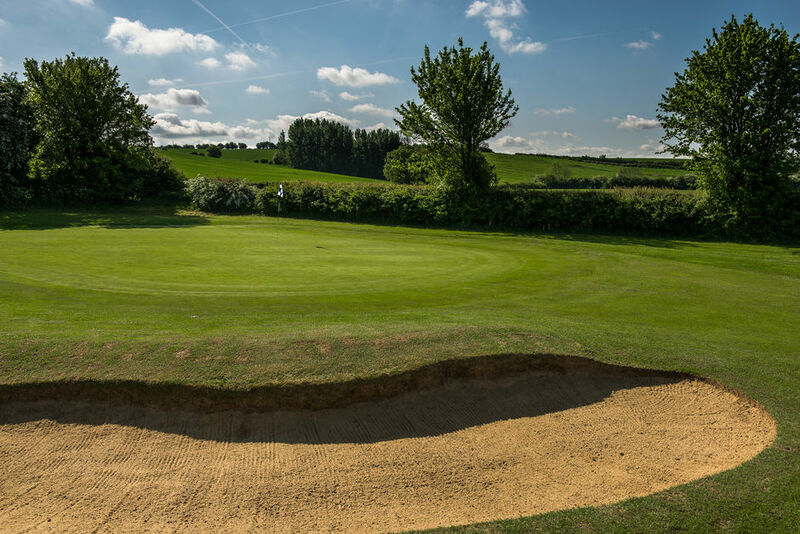 The sensible play is to pitch the ball just short and run it into the green, providing the player can miss the strategically placed bunker at the front left designed to catch any misjudged approach shots. The 16th is a straight par 4 that plays slightly uphill to a two tiered green. There is more room than you think to the right of the fairway - a ball in the fairway gives you the chance of hitting this green in two. 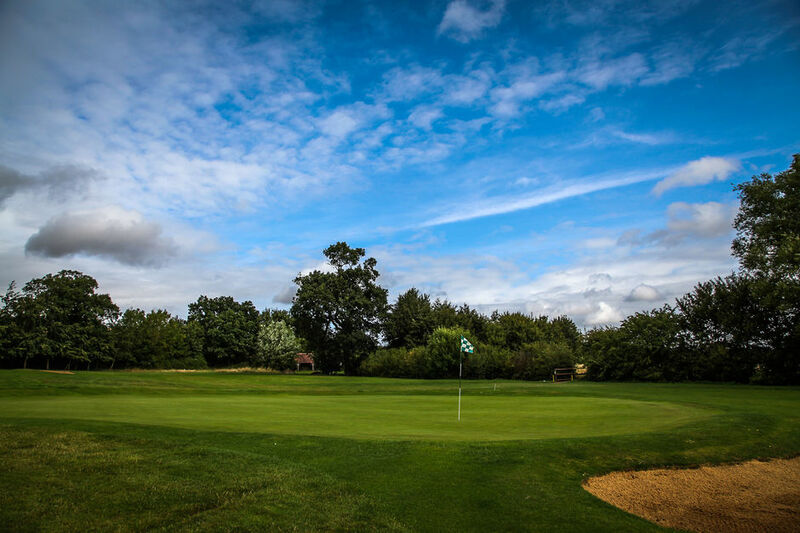 The second shot plays into a green which is characterised by the severe step in the middle of the putting surface. It is easy to be aggressive and over club on this shot but with the long rough and an impossible chip shot to follow,it is advisable to play conservatively. Once on the green, the not so subtle borrows make this one of the harder greens to putt on. A par 4 on 16 is always well received! The 17th tee offers the best views on the course. 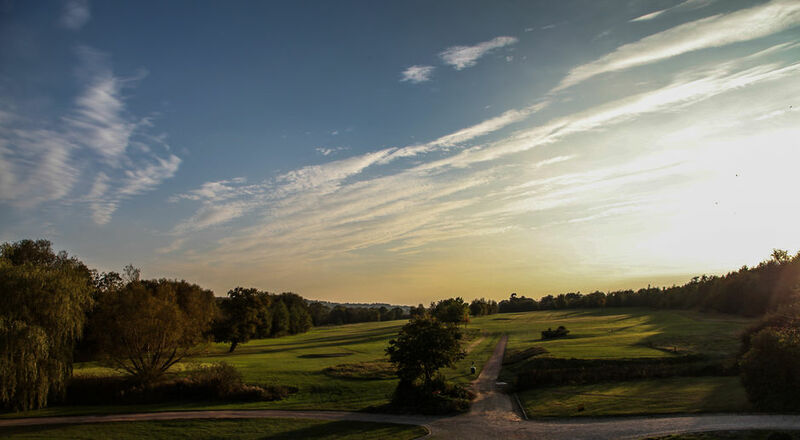 You can see for miles and this inviting tee shot plays downhill to a generous fairway, tempting you to hit it ‘miles!!’. fairway blocks out the green leaving a blind second shot. For those requiring three shots, a lay up just short of Sutton Brook will leave a shot of around 150 yards to the green. 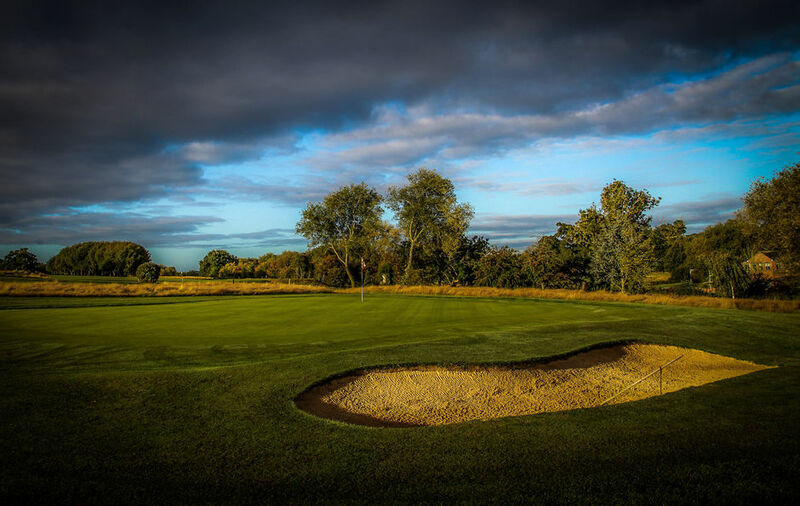 There are 2 bunkers at the front of the green that make running the ball up to the green tricky, with a precise shot required in order to set up a birdie putt. beware of the pond short left of the green and the out of bounds right. 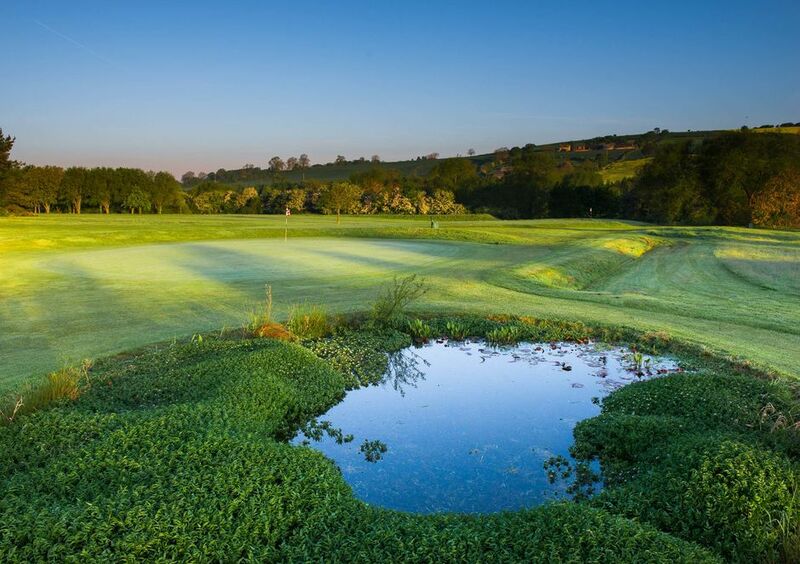 The safer route is to play an iron or fairway wood short of the pond, a delicate pitch across the water can then set up a final hole birdie putt in front of the clubhouse.